Some athletes rise to the top of their sports and stay in the spotlight seemingly forever, like Michael Jordan, David Beckham, or Butterbean. Even after they retire, many of these high-profile sports stars stick around as coaches, or do color commentary on a sports network, or maybe become the spokesperson for auto insurance or some really snazzy gloves. But that isn't the destiny of every athlete. Some of them will take a step back from the limelight, and not always intentionally, because life can throw you a curveball, even if you're a pitcher. So what exactly happens to those sports stars who make a name but don't stick around, who retire from their game of choice and go back to the regular world with the rest of us? Not all of them have all that sweet endorsement money to keep them afloat. Some of them need to get real jobs that are maybe a little less glamorous and a little more 9-to-5. In the 1980s, Tito Santana was going toe to toe with the likes of Hulk Hogan and the Ultimate Warrior in the WWF. 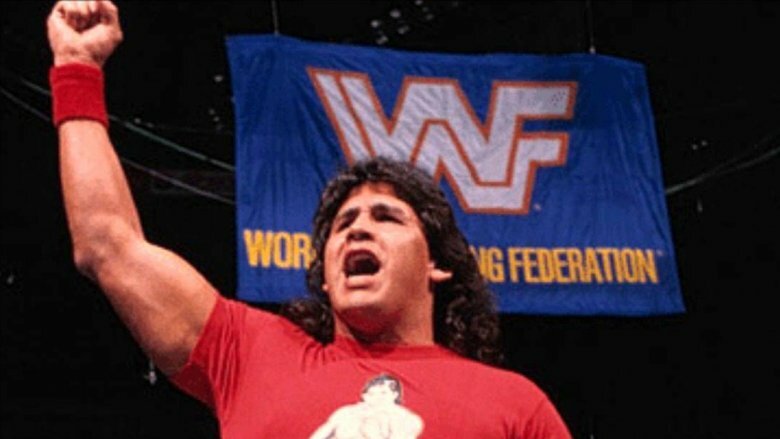 In fact, along with Hogan, Santana is the only wrestler from the WWF's extensive roster who made an appearance at each of the first nine Wrestlemanias. He made his mark as a tag team champ all the way back in 1979 and also reigned as intercontinental champ for a spell as well, proving to be a fan favorite and a guy who could get through a match with Doink the Clown without feeling ashamed. Santana's various gimmicks included El Matador and half of the Strike Force tag team with Rick Martel, and he was even immortalized in animated form in Hulk Hogan's Rock 'n' Wrestling cartoon. After leaving the WWF and taking a spin on the independent wrestling circuit, Santana went back to living life as Merced Solis (his legal name) and semi-retired to New Jersey. According to ESPN, Solis currently teaches Spanish at a middle school in New Jersey, though he does make occasional ring appearances for special events. Maybe he bodyslams the odd kid who doesn't turn in their homework. Kerri Strug's performance at the 1996 Atlanta Olympics was iconic and unforgettable. After her teammate Monique Moceanu failed both her vault attempts, the gold medal that seemed so certain only a short time before was at risk of slipping through their fingers. Dramatic! Strug's first vault jump was not good, and she injured her ankle badly, as she told Huffington Post in 2015. But not making a second attempt would mean forfeiting to the Russians, so on a painful ankle she went all out and nailed it. Her landing was picture perfect and she sealed the victory for Team USA, becoming an instant hero in many people's eyes. Her coach had to carry her to the podium to accept the gold as she was unable to walk by that point, her leg already wrapped and in a giant splint. After the Olympics, Strug went to college, first UCLA and later Stanford where she earned a degree in sociology. After spending some time working as a second-grade teacher, she moved on to government work and is now listed as a grant manager at the Office of Juvenile Justice and Delinquency Prevention. 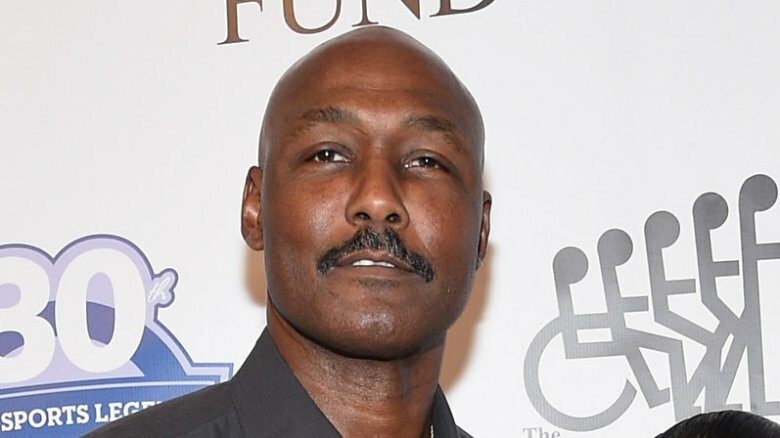 Two-time NBA MVP Karl Malone was also a 14-time NBA All-Star and scored 36,928 career points, second only to Kareem Abdul-Jabbar. He also holds a record for most free-throw attempts and most defensive rebounds in NBA history, and even won two Olympic gold medals. The man was just super good at what he did. After retiring from the NBA, the sports star entered the business world and really spread his wings, becoming a kind of mega-entrepreneur who did just short of everything. He owns an Arby's, three Jiffy Lubes, a Burger King, and numerous other businesses, which at first makes it seem like he's still living a life a little more elite than the rest of us. But also consider how he lives it. For a time, Deseret News reported, he was even in the trucking business. And he wasn't just running the business, he was driving the trucks himself. Now sure, Malone doesn't need to drive truck to make ends meet, but he's a man who likes to keep busy and who understands the value of a hard day's work, so he drove the trucks for the fun of it. After all, someone needs to haul the timber. Why not him? 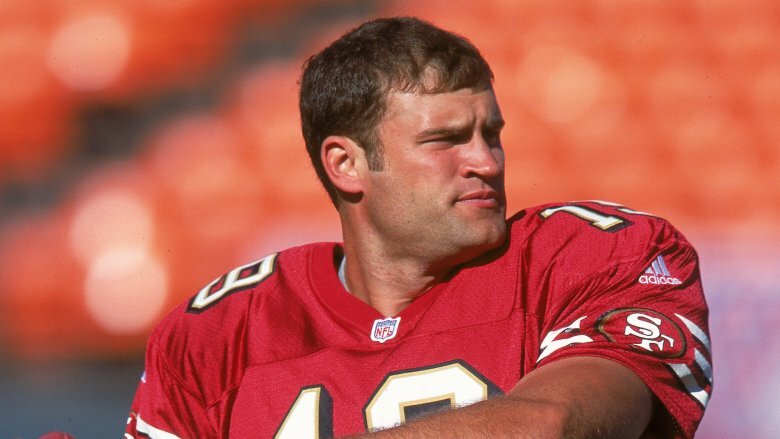 Though you may not recognize the name, in the 2000 NFL draft, Giovanni Carmazzi was chosen by the San Francisco 49ers. He was the second quarterback drafted overall, and was, as Business Insider points out, drafted ahead of the now-legendary Tom Brady, so he should be a big deal, right? Well, Carmazzi was on the roster as a backup QB for the season but didn't even get a minute of regular-season play in the league. Despite that, he did play against Brady in the Pro Football Hall of Fame Game where he completed a disappointing 3 of 7 passes according to the New York Times. Okay, so maybe not the biggest sports star, but at least he played. After his time in San Francisco ended, Carmazzi left the NFL and went on to play in Europe and Canada for several years before retiring. Because he was drafted before Brady, ESPN looked him up years later for a documentary. Carmazzi, who doesn't even own a TV, declined to be filmed for the documentary and told ESPN he's a bit off the grid these days as a practitioner of yoga and a farmer who owns five goats. Truly, success comes in all shapes and sizes. 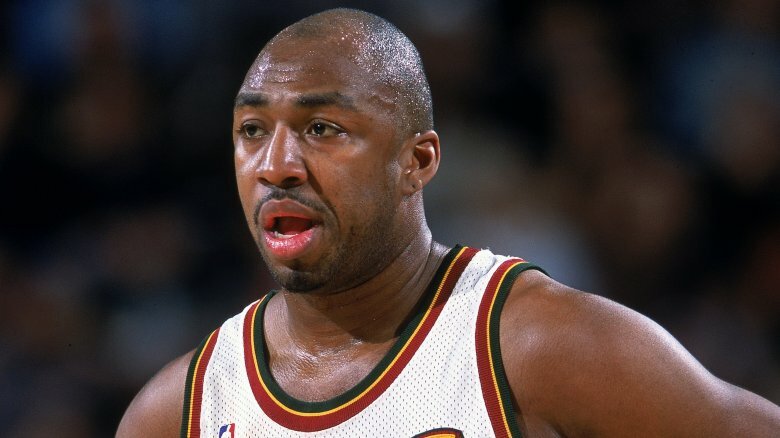 Vin Baker played in the NBA for 13 years and the Washington Post notes he appeared in four consecutive All-Star games. What should have been a remarkable success story took a bit of a left turn, however. Unfortunately, myriad personal problems plagued Baker, not the least of which was substance abuse. He told Boston's WBUR he played his first stoned game in 1996, smoking weed before the game and surprising himself by having the best outing of his career to that point. From there it was a rapid downhill spiral of substance abuse and financial irresponsibility. While he amassed a $100 million fortune, according to Forbes, he lost everything by the time he was done. Baker managed to turn himself around on a physical level, getting clean and sober, but he was dead broke. He needed a way to support himself and those he cared about, so he called up Howard Schultz. Schultz, as owner of the SuperSonics, was his former boss. Schultz also happened to be the CEO of Starbucks. As Baker told Connecticut's WNPR, Schultz offered him a job at the coffee chain and he took it. Baker was given his green apron and started doling out lattes to make ends meet. It may not be as glamorous as life in the spotlight, but it's an honest day's work. 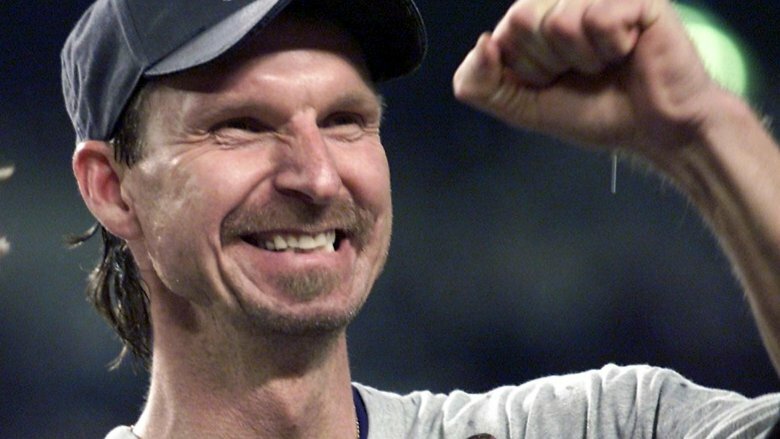 Randy Johnson holds the title of the oldest player to ever pitch a perfect game, and is one of only five pitchers to pitch no-hitters in both the National and American leagues in baseball, according to ESPN. Sporting News notes he had a career 4,875 strikeouts in his 22 seasons, ranking him second to only Nolan Ryan. Not too shabby and a decent legacy to have in the game. After retiring from the big leagues at age 47, he fell back on an old passion –- photography. As he told WTOP, Johnson had been a photojournalism major back at USC so it's a natural second career for him, and something that gives him not just a creative outlet, but a far less physically demanding and stressful one. Randy Johnson Photography is a fairly prominent business, and he's known for some of his excellent concert photography, having taken pictures on tour with Metallica, KISS, and Rush, among others. Being a former pro ball player does open some doors for you. He's also photographed USO tours and gone to Africa to capture images of wildlife, which sounds like a decent trade-off as far as careers go. At the 2016 Summer Games, Maya DiRado took home two golds, a silver, and a bronze in swimming, putting her at the top of her game and positioning her to become a legend in the sport if she chose to pursuit it. The options for continuing on competitively, going into coaching or getting endorsement deals must have been plentiful. She'd competed at the collegiate level at Stanford University, and in various mid-level games for several years before qualifying for the games in Rio, so it seemed as though chlorine might be in her blood. But hey, things happen. 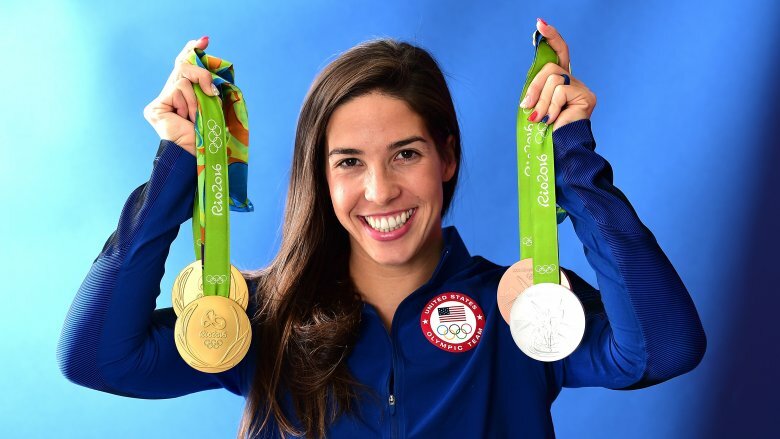 Prior to the Olympics, DiRado and her husband, also a swimmer, had purchased a home in Atlanta where they'd planned to settle down. As mentioned in a Washington Post profile, she'd already been offered a job as a business analyst with McKinsey and Co. as well thanks to her degree in management science and engineering. As far as swimming went, she'd accomplished the goals she wanted to accomplish and that was enough for her. Now she probably just smokes people at the public pool on weekends and spends the rest of her time taking it easy. 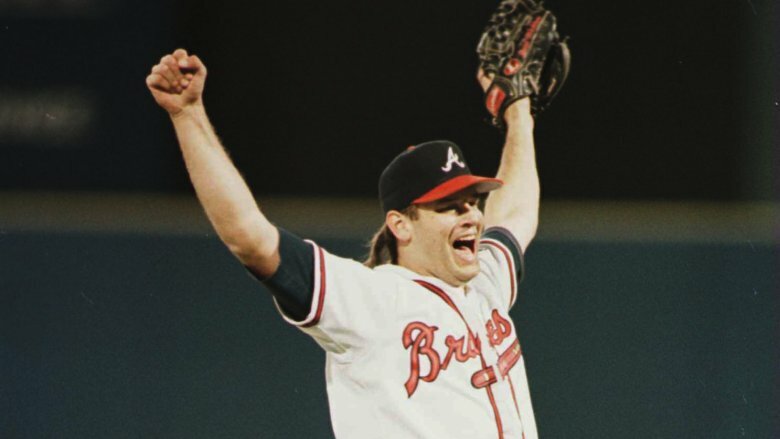 Mark Wohlers spent 12 years as a relief pitcher, mostly with the Atlanta Braves. 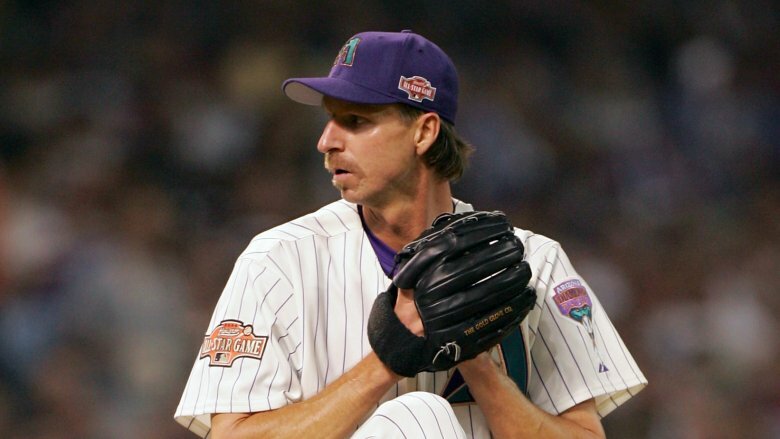 He holds the record as the third-fastest pitcher in baseball history with a 103-mph fastball that he tossed out during spring training back in 1995. Seemed like he was definitely in the right industry, but it was not meant to be. However, he was diagnosed with an anxiety disorder, sometimes referred to colloquially as Steve Blass syndrome or the yips, which is what you call it when a pitcher seems to lose their ability to control the ball. Wohlers left the game for good. These days Wohlers can be found in Atlanta, where Realtor.com points out you can find the real estate business he runs with his wife and maybe get him to sell your house if you're so inclined. The two of them are known as Team Wohlers and are doing well in their career together. Wohlers probably never has to hurl a rock through the window of a competitor's property at 103 miles per hour. Ever. Back in 1972, LaRue Martin was at the top of his game and the biggest prospect in the NBA. He was taken first overall in the draft by the Portland Trailblazers, so this guy was on the money. But once he was in the big time, things didn't go as planned for the Loyola star. The New York Post notes he averaged just 5.3 points in 14 minutes per game in four seasons, pretty much the opposite of what you want a first round pick to be doing. He blames it on not getting enough playing time, while others thought he just couldn't cut it, but it doesn't matter anymore. His career was a little lackluster, something he readily admits, but past is past and he still needed to provide for his family. After he left the game he snagged a job with UPS. As he told Northwest University's Medhill Reports, he started from the bottom, driving a delivery truck and learning that UPS didn't hand out a lot of its brown uniforms to 7-footers like him. From there he worked his way up to Illinois district public affairs and community services manager where he's praised for his work ethic and the positive impact he's had on the company. 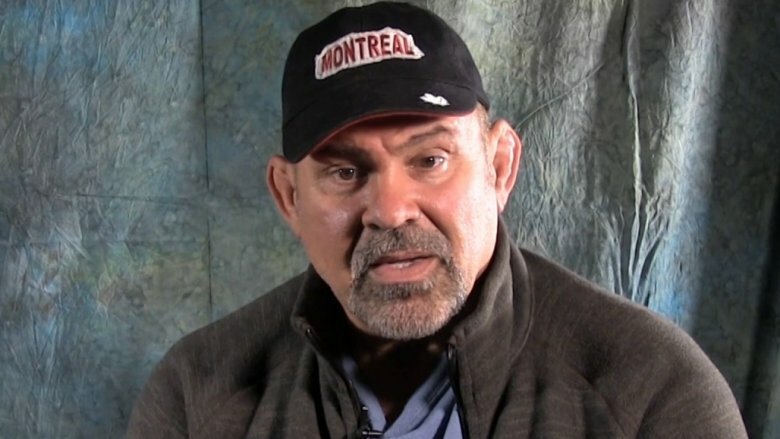 One half of the legendary Steiner Brothers tag team from WCW and WWE wrestling, Rick Steiner was a powerhouse in the ring whose gimmick played off of him being somewhat beastly and animalistic –- they called him the Dog-Faced Gremlin. He managed to be an eight-time tag team title holder in the WCW and snagged it twice in the WWE, not to mention a run as WCW's heavyweight champ. After leaving the ring behind, he put those skills he used to sell a show to an audience to good use by selling real estate. He also serves on his local school board, where the Associated Press pointed out that despite being disqualified in 2006 for using his Rick Steiner stage name instead of his legal name, Robert Reichsteiner, he was still elected as a write-in candidate after running unopposed. He ran again for a third term back in 2014, and he won that one, too. With 23,177 points, six-time NBA All-Star and Hall of Famer Adrian Dantley was ninth on the all-time scoring list at the time of his retirement. A machine when it came to free throws, owing to an uncanny knack for getting fouled like people were out to get him, Dantley routinely averaged over 30 points a game during his heyday. Unfortunately, a couple serious injuries slowed his pace, and after 15 years in the game he retired following his recovery from a broken fibula that had sidelined him for an entire year, according to NBA.com. 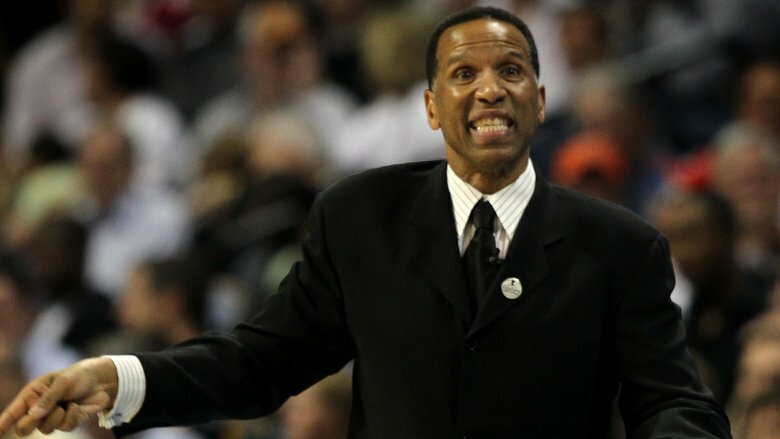 Dantley pursued coaching for a few years and then, in 2013, the Washington Post reported he was working as a crossing guard in Silver Springs for $14,000 a year. Of course, the story wasn't what other outlets made it out to be — Dantley wasn't in dire financial straits, he was just trying to be a good citizen. He likes working in his community and likes helping kids, so it fit into his routine and gives him a lot of time off. No weekend work and a summer vacation … what's not to love? 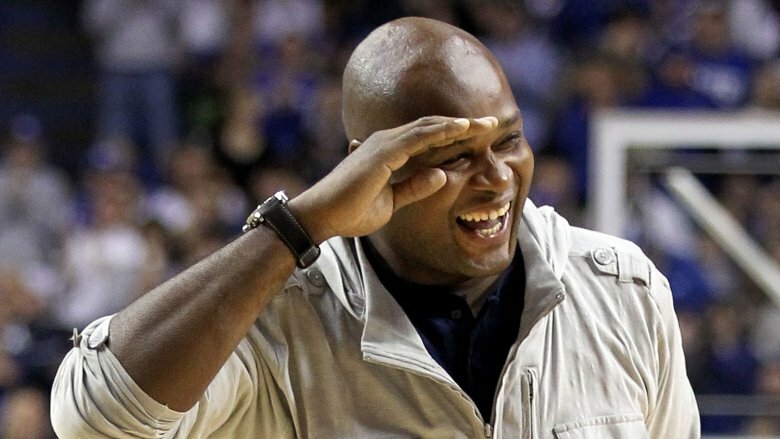 After being drafted sixth overall in the NBA's 1996 draft, Antoine Walker filled the gap left by Larry Bird and led the Celtics in scoring in his rookie year. He went on to become a three-time All-Star and NBA champ, averaging 20 or more points in five of his seven seasons in Boston, according to the Boston Globe, and racking up over $100 million in his career. Fame and fortune are definitely not easy to manage, however, and by 2010 the sports star was forced to file for bankruptcy. In so many words, Walker lost literally everything to the temptations of living large — helping friends and family, buying fancy cars and homes — until it was all gone. How do you blow through $100 million so quickly? 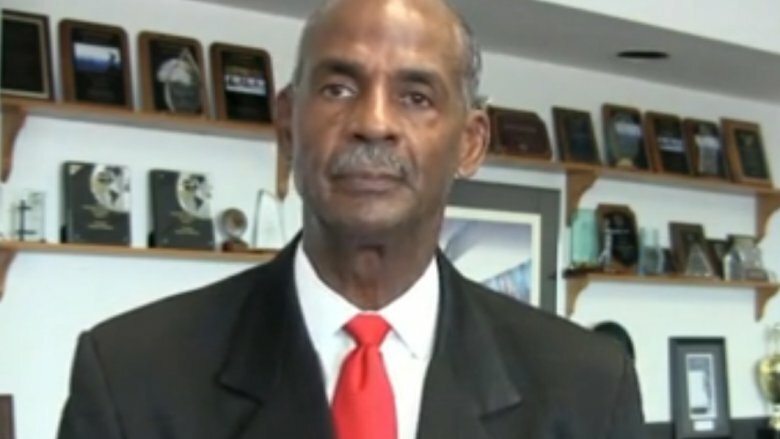 Walker told Complex that one day he bought a Maybach Mercedes on a whim, setting him back around $400,000. Now, in a unique position in life to understand what it's like to be on top and fall, he works as a consultant with Morgan Stanley Global Sports and Entertainment, according to USA Today, helping young athletes learn how to manage money and not go down the same ruinous path he traveled.